What Do I Do After A Car Accident? | Pothitakis Law Firm, P.C. Even if you are a very careful driver, it is very likely that you will be involved in at least a minor car accident at some point in your life. When an accident occurs, it is very important to know what you should and should not do. If you do not follow the correct course of action after an automobile accident, it can lead to insurance nightmares, including insurance companies refusing to pay your claim. Nobody plans to get into a car accident, but being prepared is never a bad idea. In case of an accident, it is important to keep an emergency kit and first aid supplies in your car. Helpful items to keep in an emergency kit include flares, cones or roadside warning triangles, a bright orange vest, and a disposable camera. If you are in a traffic accident-and it is possible-safely pull over to the side of the road, turn off your car, and turn on your hazard lights. If you have flares, cones or roadside warning triangles, they should be set up alongside the road a few hundred feet before the accident site so that traffic is aware of the accident ahead. Check for injuries among the people in all cars involved in the crash. If somebody is hurt, especially seriously, do not move them! Standard first aid measures should be taken for minor injuries. Call 911 and inform them of the accident and any serious injuries. If you do not have a cell phone, ask other people involved or witnesses if they have a phone you can use to alert the authorities. If you have a camera or camera phone, you may desire to take pictures of the location of the accident and all vehicles involved, paying special attention to impact sites. You should not discuss the accident with anyone but the police. Do not admit fault, apologize or make accusations. Immediately report the accident to your insurance company. If the accident involves serious damage, injury or death, it is a good idea to also contact your lawyer as soon as possible. Seek medical attention for any injuries you sustained. In Iowa, any accident not investigated by law enforcement that causes death, personal injury or total property damage of $1,500 or more must be reported on an Iowa Accident Report within 72 hours. Write down everything you can remember as soon as you get a chance. Having notes can remind you of the details that can easily slip from your memory. Write down what you were doing, where you were going, who was with you, what time the accident occurred, what the weather was like, and any other details you can remember of what you saw, heard or felt. Include anything you remember hearing anybody say about the accident. 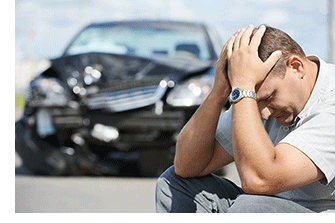 Keep a record of any care you receive after the accident and any expenses incurred due to the accident. This includes doctors, chiropractors, physical therapists, medical bills and other expenses. You should also keep notes of the effects of your injuries. This allows you to keep track of pain, anxiety, discomfort, loss of sleep or other effects. Yes, we said it before, but it’s important enough for repetition. You should not talk to anyone about the accident other than your insurance company, the police and your attorney. Do not talk to other insurance companies without the knowledge of your attorney or your insurance company. If they call you, direct them to call your attorney or insurance company to arrange an interview. Get their name and number so that you can alert your attorney or insurance company of who is seeking information about your accident. Hopefully you’ll never need to use any of this information, but having it in your arsenal is a very good thing. If you’ve been involved in a car accident in Iowa, an Iowa personal injury lawyer with experience handling car accident injuries can help you fight for your rights.